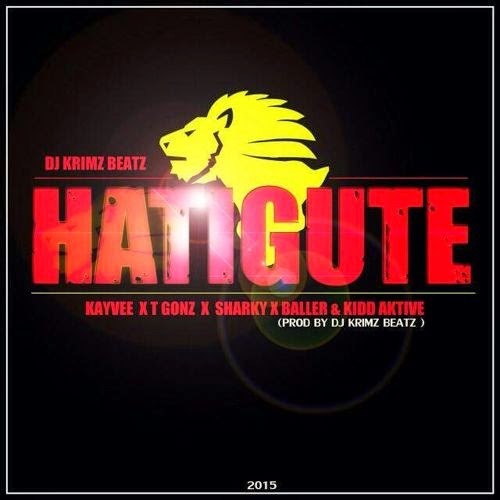 DJ Krimz Beatz returns with the first official single (even those it's his second release this year) off his sophomore album, The White Album, in the form of Hatigute. For those not well versed with the Shona language, this is loosely translated as "we never eat enough". In this context it means that the hustle continues as the hunger is renewed each day. This has quite an interesting line-up, with BigShots, Studio Felonies and iKoNik Musik Group are well presented here. The first person we are introduced to is the new iKoNik Musik Group signee, producer/rapper KayVee, handling most of the hook duties on this one. This is one of those okayish hooks that really didn't move me, but hey, that's just the start. Let's get into the verses, shall we? First up, we have T-Gonz/Ti Gonzi (take your pick on the spelling) giving the first verse. Really don't know how to feel about this verse. I guess it will grow on me. Next up comes the Chi-town native, otherwise known as Soko Matemai with a verse that changed my perception of the track a bit. Halfway through the track I think I'm starting to warm up to this track. Maybe I was wrong about my initial view about it? After listening to the entire track I have this to say. This is an average track, which some may find listenable but lacks the wow factor expected from collaborations of this magnitude. Call me Mr. Grouch but yeah, that's my view. Stream and download below, make your own decision whether or not "uchiguta"